What’s the Value of Getting a Second Chance at Life? In sales, and sometimes in life, it comes down to the ask. Seven years ago I made the simple request of Gerhard and Larissa Gschwandtner. It was to join me for dinner. 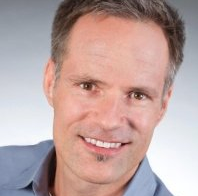 I wanted to Gerhard to speak at our first Sales 2.0 Conference. After a bottle of wine, and talking about almost everything but business, he agreed. He also agreed to take over the helm of the conference when the company I was working for decided that it was not in the event business. Last June, I asked a question of myself. Being HIV positive for 10 years I knew that I wanted to give back to the organizations that have been helping me live a fuller life. The question I asked was this: What’s the value of getting a second chance at life? That’s when I decided to do two things: ride 545 miles from SF to LA in the AIDS/LifeCycle and along the way raise $1K for every year of my life in support the SF AIDS Foundation. To help me get to $54K I asked Gerhard and Larissa if they would support me and tonight’s event was the result. I closed today’s Sales 2.0 Conference by doing something I’d never done before — come out as positive to a mostly straight and completely unfamiliar room. I had pushed beyond my comfort zone. I felt exposed. Today, I ventured outside again. Aria, the new company I work for, is launching a social good program; AIDS/LifeCycle is their first beneficiary. Together, with the help of the Aria team, we have decided to tell my story. In so doing this also makes me their first employee to be publicly out as either Gay or HIV positive. It’s a leap of faith for both parties. I am grateful for the support of my boss, Jon Gettinger, and Aria’s CEO, Tom Dibble who like my father, have backed me “100%”. I am thankful to have people like Gerhard, Larissa and so many others in my corner. I literally could not do this without them. Parker Trewin is Senior Director of Content and Communications at Aria Systems. This post appeared originally on the AIDS/LifeCycle website and is used here with permission. From June 1-7, 2014, he will be bicycling in AIDS/LifeCycle, a 7-day, 545-mile bike ride from San Francisco to Los Angeles to make a world of difference in the fight to end HIV and AIDS. To learn more and/or to make a charitable contribution in Parker’s name, please visit his donation page http://tofighthiv.org/goto/parkertrewin. 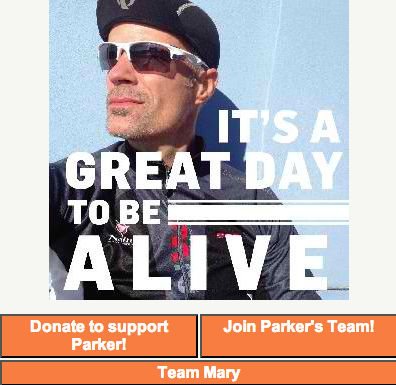 This entry was posted in Sales 2.0 Conference and tagged AIDS/Lifecycle, charity, Parker Trewin, Sales 2.0 Conference. Bookmark the permalink.